So, it’s back! 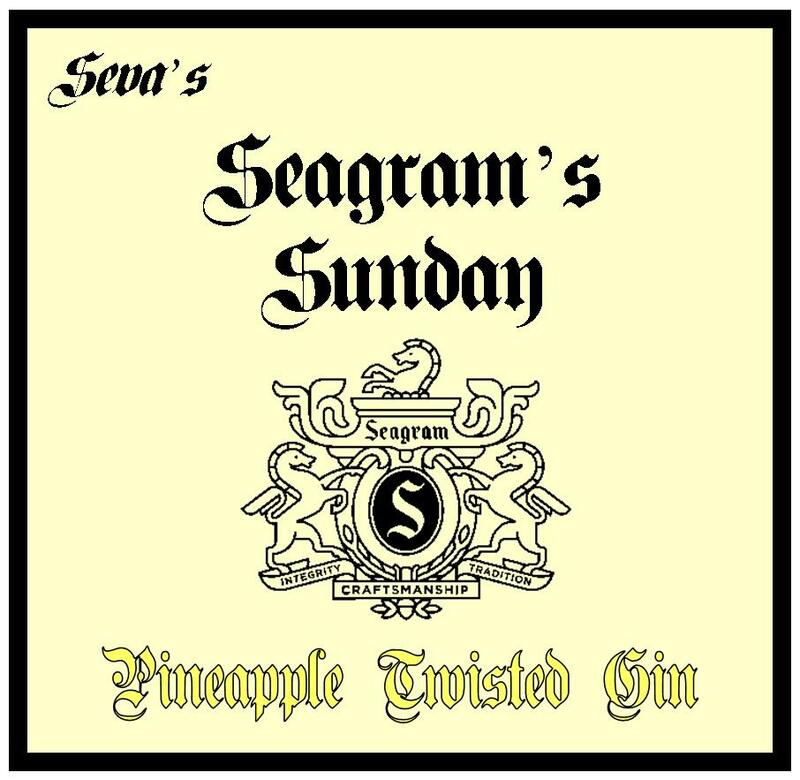 After a brief hiatus, Seagram’s Sunday has returned, thanks to my dear firend in New Jersey, Seva, sending me Segaram’s Twisted Pineapple Gin in a recent care package. Pineapple Gin used to be all the rage but has since fell upon hard times and, as such it featured in our Raiders of the Lost Cocktail Cabinet. Nose: Pineapple chunks and a touch of sherbet, with hints of apricot and peach, too. At the end, there’s just a touch of nail polish. Taste: Pineapple initially, followed by a distinct sweetness and a touch of alcohol. 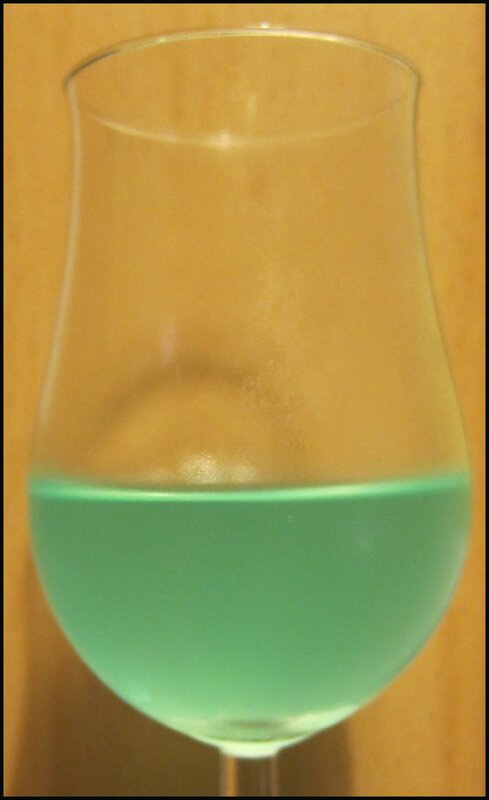 In the middle, the gin appears, fresh and bitter, before a finish of fleshy, juicy fruit. Not too bad a drink: pineapple comes through quite strongly, tasting like pineapple chunks sweets. Quite nice, really; this tastes – as you would expect – like a pineapple Gin & Tonic. This suggests that it would work very well in other long drinks. This has a scent of juicy pineapple. An initial sweetness, very much like that of pineapple cubes, is followed by an odd, oily alcohol, before finishing with tinned pineapple fruit. There’s some dryness in the middle. This is quite a sweet Martini, but is exactly what you would expected from a pineapple gin Martini and not bad at all. Wow! What an awful clash of flavours. I had high hopes for this (Hoxton makes a lovely, if unconventional, Negroni), but this has a mix of flavours with no balance and a horrible, sickly finish. I was pleasantly surprised by this pineapple gin, although the Negroni was a disappointment. 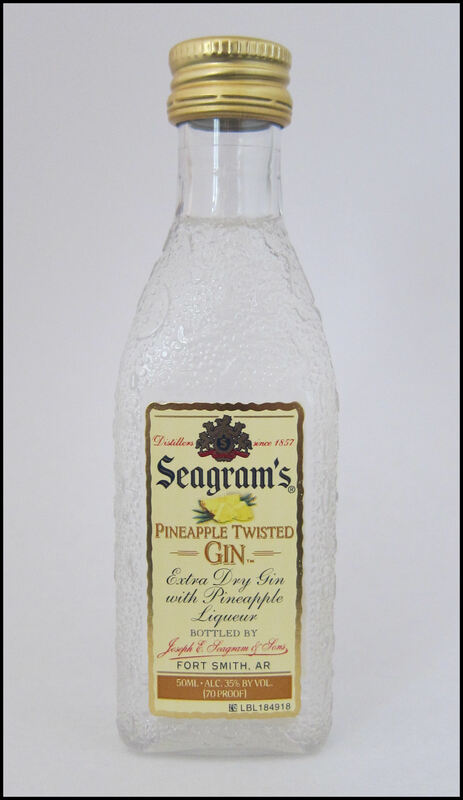 Having made my own pineapple gin previously, I think that Seagram’s Twisted Pineapple is a good, and far more convenient, alternative to making your own. It has a lot of potential with a lot of appeal in long, mixed drinks with mixers such a lemonade, orange juice and soda water. My favourite drink was the Gin & Tonic. 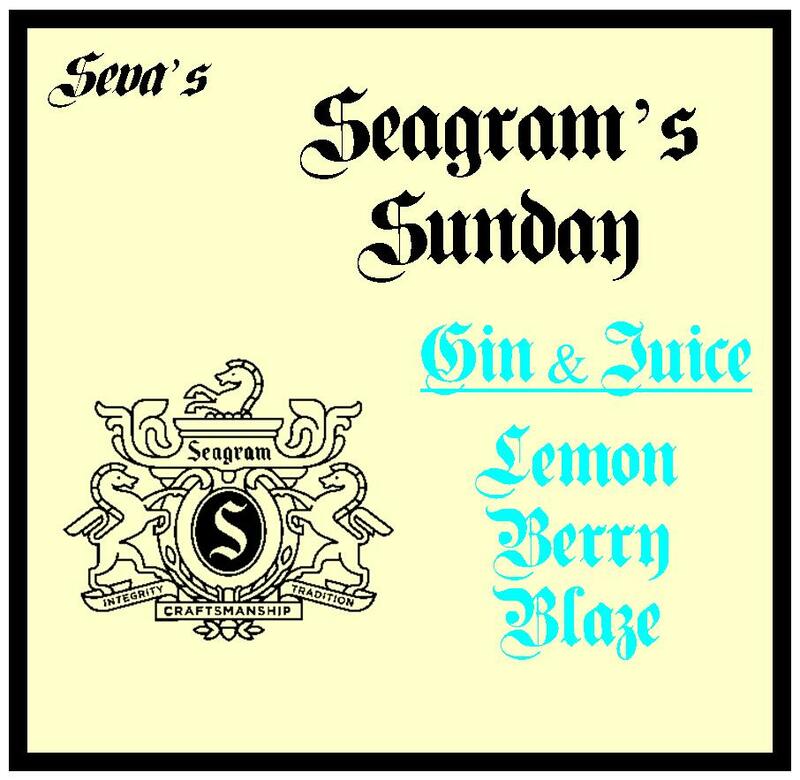 So far in Seagram’s Sunday we have looked at their flavoured gins and their cask-rested gins; now we move on to a third category of their gin products: Gin & Juice. These are ready-to-serve drinks that contain a combination of gin and fruit juice and have been produced since 1995. Nose: Confectionery; specifically, fizzy strawberry laces. Taste: Initially sweet, then the gin comes into play, but unfortunately, not for very long. This is really rather odd, being quite musky and chalky, followed by a hit of what seems like floor cleaner! I quite like the nose and, after a bit of time, the drink becomes more palatable, but it still reminds me of a below-average alcopop. 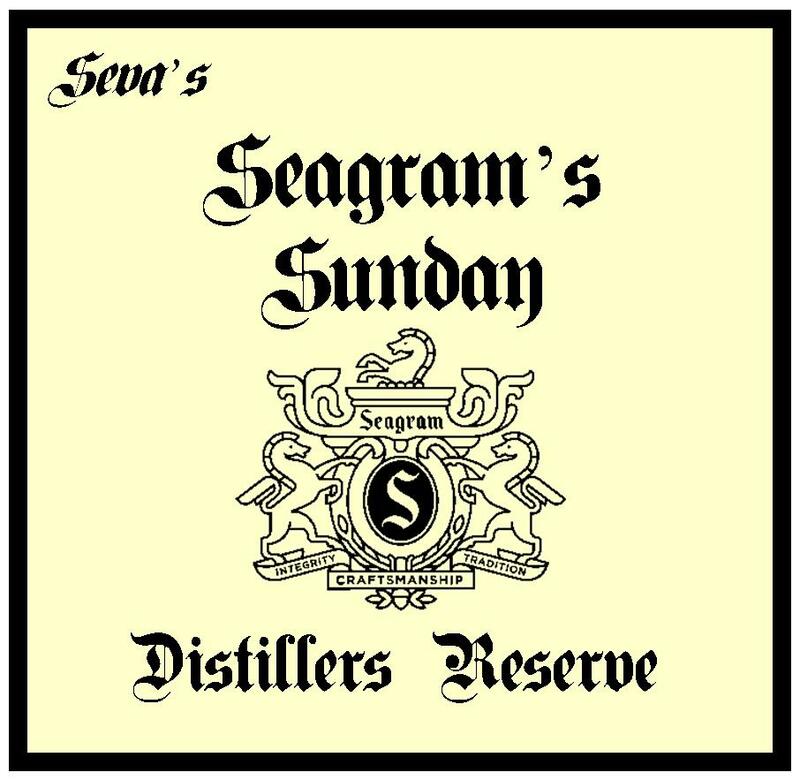 Introduced in 2006 and bottled at 51% ABV, Seagram’s Distillers Reserve is a blend of the best batches of Seagram’s Extra Dry, post-mellowing and bottled at cask-strength. Colour: Very light, straw yellow. Nose: The nose seems less intense than the original, with some juniper and citrus. Taste: Firstly, the texture is quite different: viscous, silky and smooth. Most of the panel agreed that this was unusually smooth for a gin at 51% ABV. As well as juniper, there was sweet liquorice, floral and citrus flavours. Although other Seagram’s gins are aged for the same period of time, the oak notes were far more pronounced in this version. The oaky flavour became even more pronounced when a drop of water was added to gin. A very fresh and crisp Gin & Tonic, with good levels of juniper and citrus with a well-rounded finish courtesy of the cask-resting. Very good. This was a strong and bold Martini: it’s a bit spicy with some nice vanilla and woody elements. Very satisfying, with just a hint of anise at the end. A rather tasty drink: intensely bitter-sweet, with powerful juniper flavours and a creamy, oak finish. Delicious. I think that the basic Seagram’s is a decent gin, but the Reserve is even better: it has a good balance, a strength that makes it extremely mixable, and the process of cask-resting really makes a difference to the spirit, making it a yellow gin and something of a rare species. For the third installment of Seagram’s Sunday, the focus is on a Twisted gin of a flavour more commonly associated with the spirit: lime. Often found garnishing Gin & Tonics, lime can often be found in flavoured gins, with Beefeater making one in the 1990s. Nose: Simple, straight-forward, zesty lime. Taste: Quite strong on the spirit, but not too many of the gin notes come through. Fortunately, though, there is a fair bit of lime, too, which is zesty and fresh. This reminded me somewhat of a creamy key lime pie. Very lively, like a Gin & Tonic with added Rose’s Lime cordial. I thought this was quite nice, authentic and not very artificial, making it a good variation on a classic drink. Very tasty. This reminds me of a Key Lime Martini or a cross between a Martini and Gimlet; either way, I am rather fond of it. There were strong notes of lime, juniper and a touch of cream. I’d certainly have this again. A pretty standard, classic Martini. Funnily enough, the lime didn’t come through very much and added very little to the drink. That said, it wasn’t bad at all. 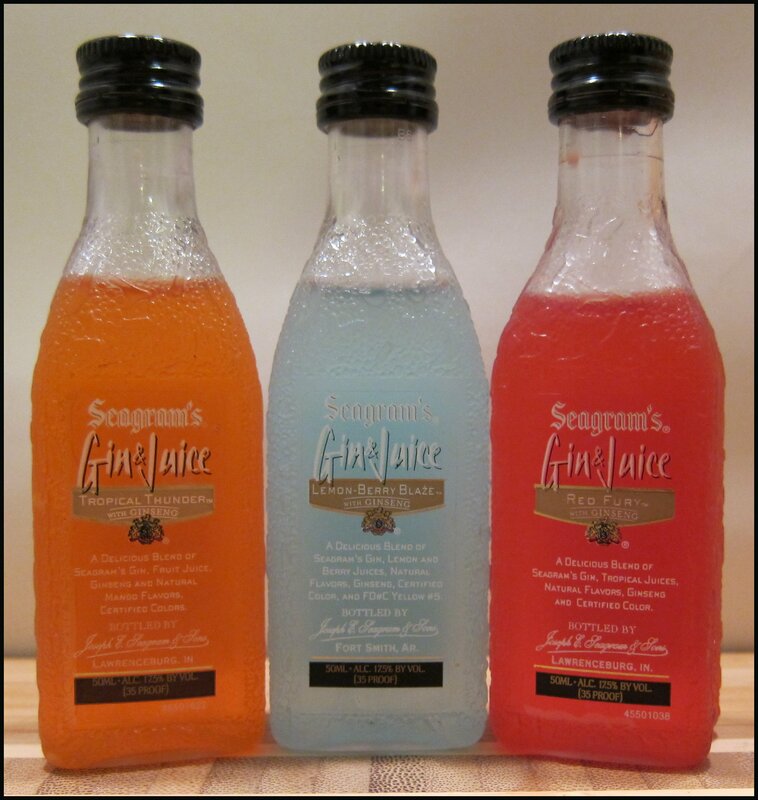 This is the first of nine installments where I will be featuring products from Seagram’s Gin. Before we crack on, I need to offer my profound thanks to Seva in the US for sending me a rather lovely selection of these gins, as well as a number of other interesting products; this series of articles is dedicated to him. Released in 2007, Seagram’s Twisted Apple is part of the company’s fruit-flavoured gin range, which also includes gins with flavours of: orange, lime, raspberry and purple grape. Flavoured gins used to be all the rage, starting off with cordial gins in the 1930s and moving on to more contemporary flavoured dry gins in the 1980s and ‘90s. In days gone by, almost all of the big names, including Gordons, Beefeater and Plymouth, all made flavoured gins. Apple Gin, interestingly enough, was once very popular in England and Scotland. I looked at recreating it and some cocktails here. As such, I was intrigued to try Seagram’s Twisted Apple; here are my thoughts. Nose: Strong apple, followed by a little almond. It seems a touch sour. Taste: Initially, there was the flavour of slightly oxidised, cut apple, then some vanilla, although the flavour seems rather artificial; in my opinion, it needs to be fuller and more genuine. The gin is quite sweet with a particular note of sweetness at the end. Juicy apple flavours make themselves known from the outset, along with a touch of almond bitterness. This reminded me of Appletizer or Apple Tango (apple soda). Although this was far from a “classic” Gin & Tonic, I found it to be a refreshing drink that was quite tasty. Very flavourful: apples, vanilla, almond and even a hint of coconut! As fruit martinis go, this was quite good; the vermouth brought out some complexity in the spirit, including more notes of spiced apple. A fair drink, but not one for the traditionalists. Like the other cocktails, this had a strong apple nose. I wasn’t quite sure what to expect from this cocktail, but I thought it was really quite good, being bittersweet, with an overlay of juicy apple flavour. A genuine surprise, but a very pleasant one, indeed. 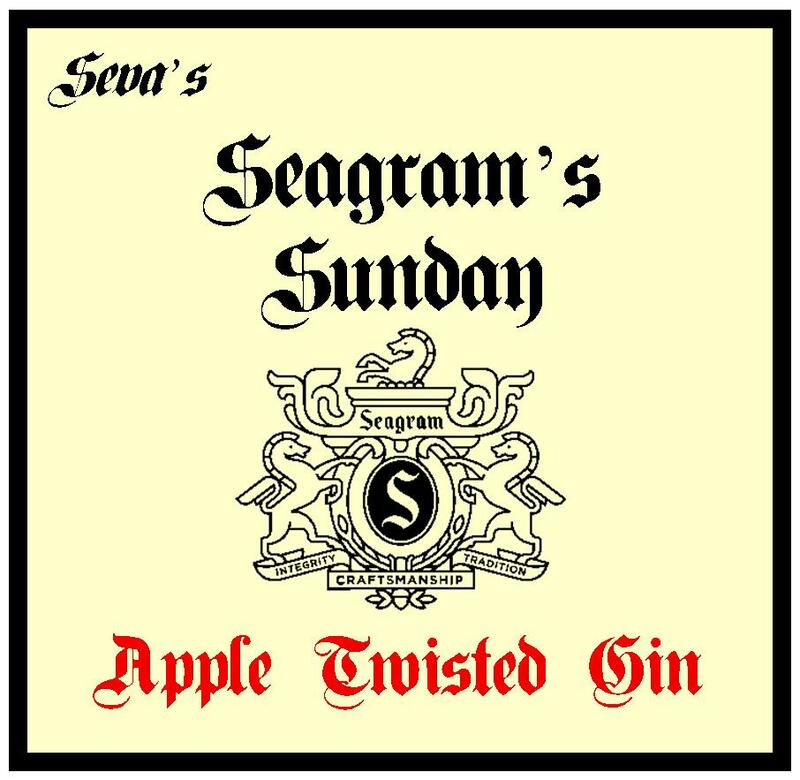 I was more impressed with Seagram’s Twisted Apple Gin than I had anticipated myself being (I think their apple vodka is pretty horrible) and, although it needs to mixed to bring out it’s best qualities, I think that some drinks, like the Negroni, I’d very happily mix and drink again.